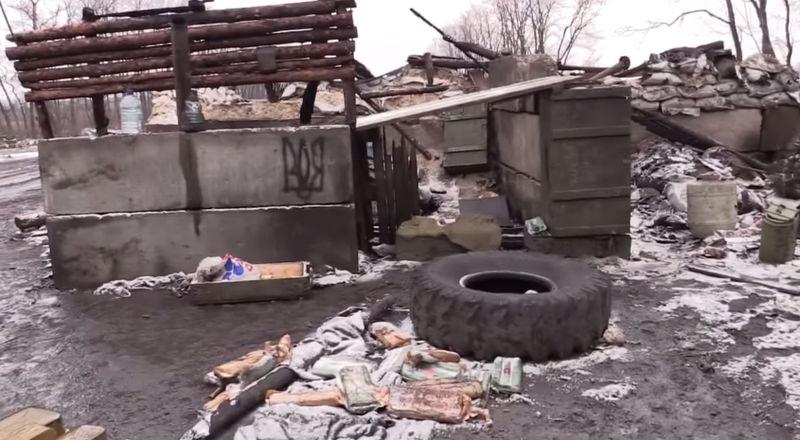 The situation around the Ukrainian city of Debaltseve remains extremely difficult to assess with different sources – even of the same side – announcing totally different situation reports, especially from the embattled town of Vuhlehirsk. 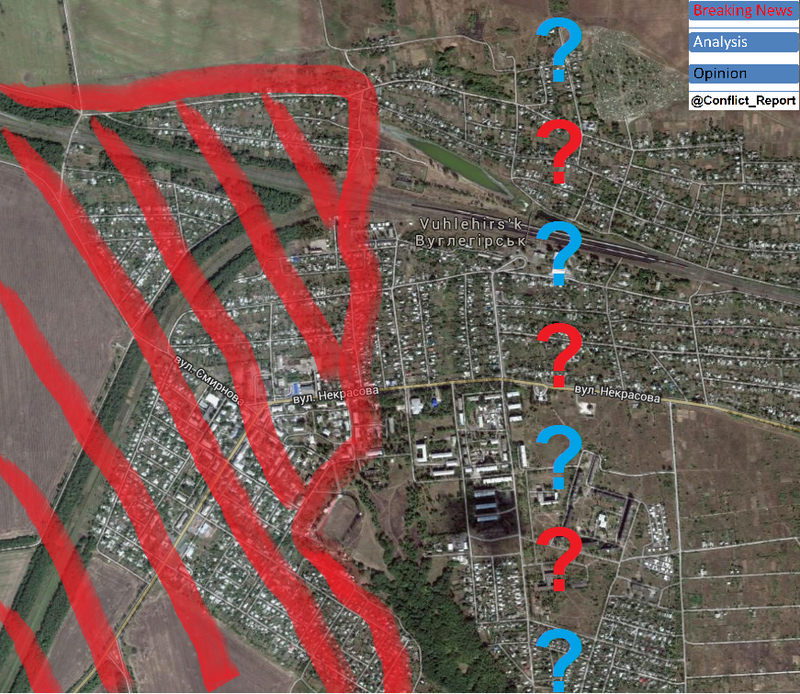 While the Russian side claims, it not only holds the town, but extended its controlled territory some 4 km to the north, taking the village of Kalynivka and controlling the M03, effectively closing the pocket around Debaltseve, Ukrainian sources paint a sharply different picture of the situation. 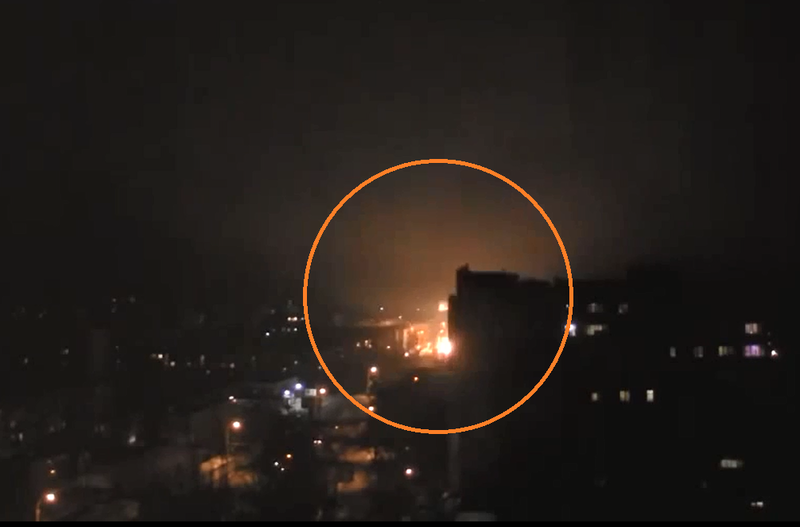 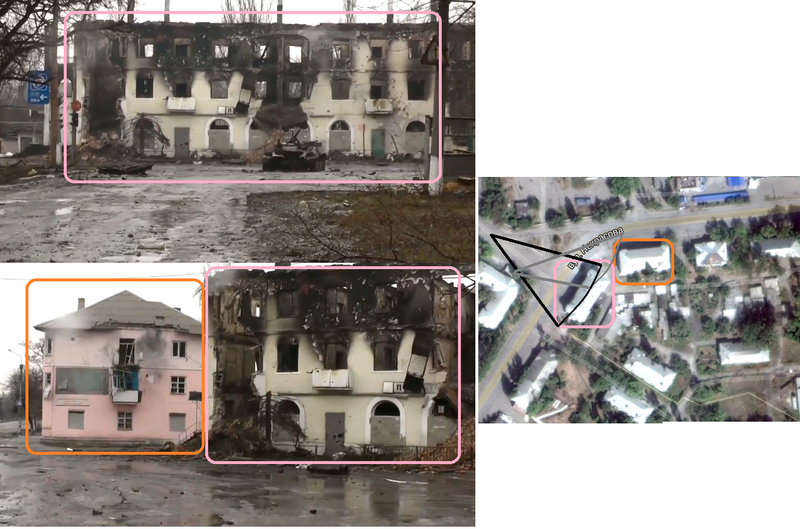 Depending on the respective source, there is either still Ukrainian resistance and fighting inside Vuhlehirsk or the city was lost with Ukrainian forces remaining in control of the surrounding areas, further preventing the Debaltseve trap to finally snap shut, trapping more than 5000 Ukrainian troops. 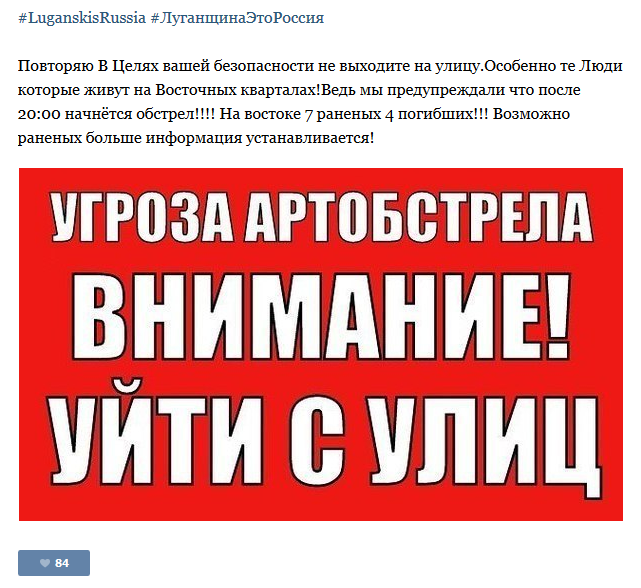 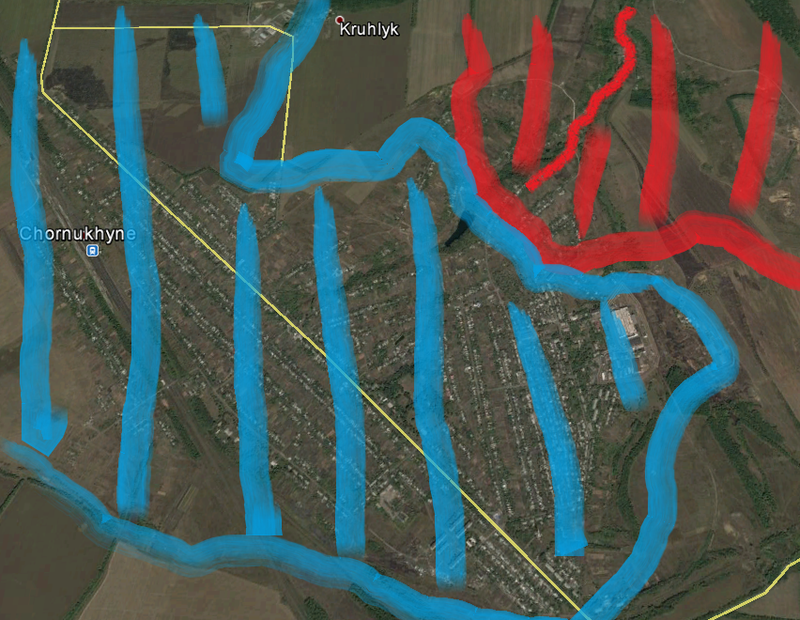 However, what was confirmed by both sides today is the fall of Nikishyne in the far south of the Ukrainian bridgehead. 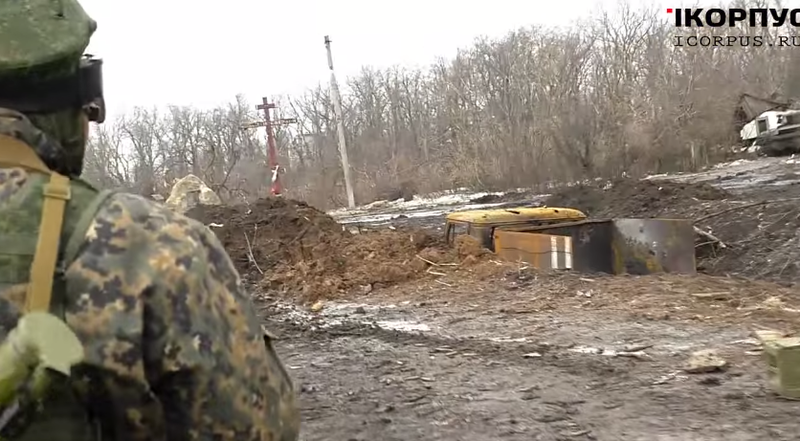 Though, Nikishyne at a first glance might look like and unimportant small village in the middle of nowhere and despite the fact that Ukrainian forces only held the northern edge of it since September last year, its fall is significant. 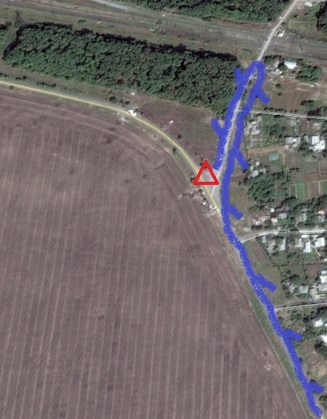 Together with Mius and partly Chornukhyne, Nikishyne was one of the three inhabited points, where the Ukrainian army built up a thin but strong (as without an alternative) line of defense south and south east of Debaltseve. 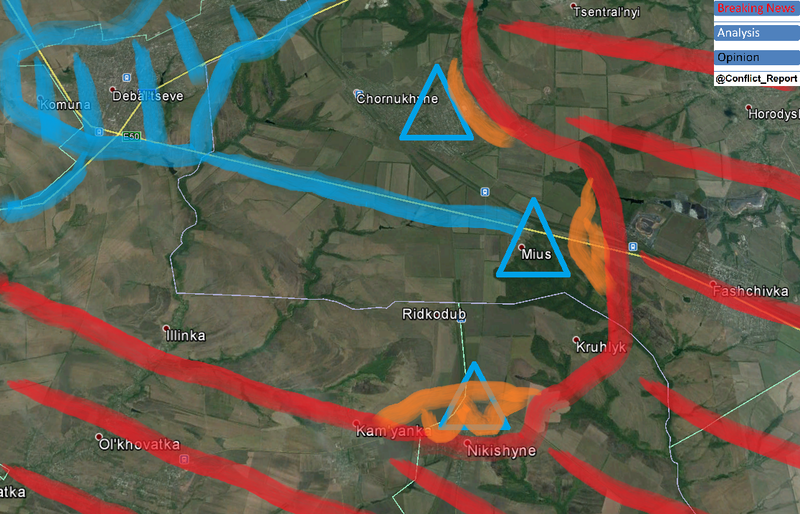 The below map shows the situation from today, already including the reported territorial losses at all three defense points over the last 24 hours (especially the loss of Nikishyne). 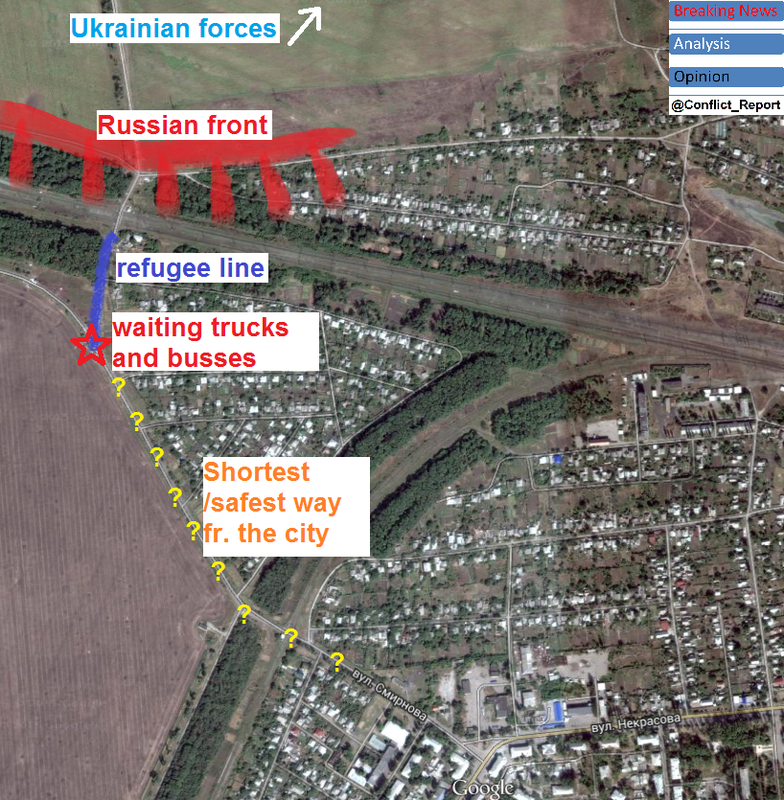 The defensive line was established 5 months ago and reinforced since then. 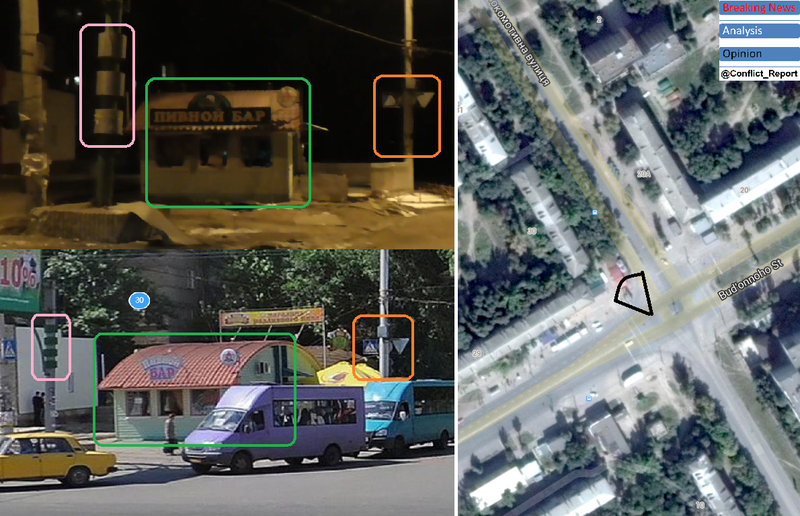 There is virtually no fortified fallback level between Nikishyne and Debaltseve plus capturing one of the three strongpoints opens the flank to the respective two other ones, possibly leading to a chain reaction in military setbacks. 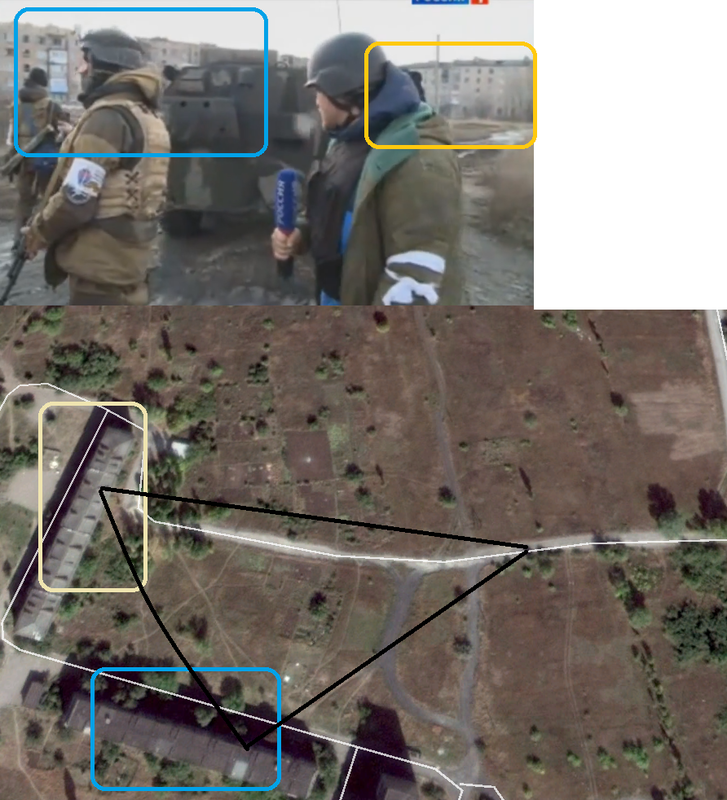 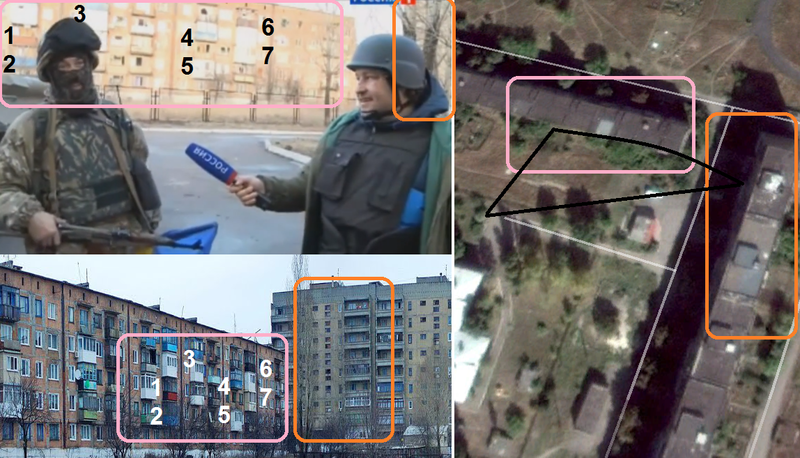 First Russian footage from Nikishyne showed the village from a drone above – an increasingly popular tool by Russian media to prove their claims – as well as the administrative building in the center of the settlement. 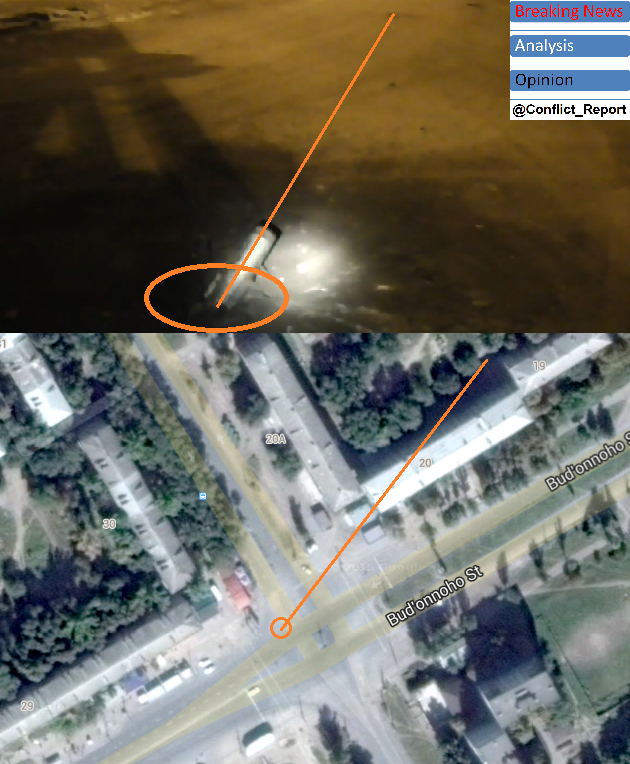 And indeed, this footage made it possible to verify the location. 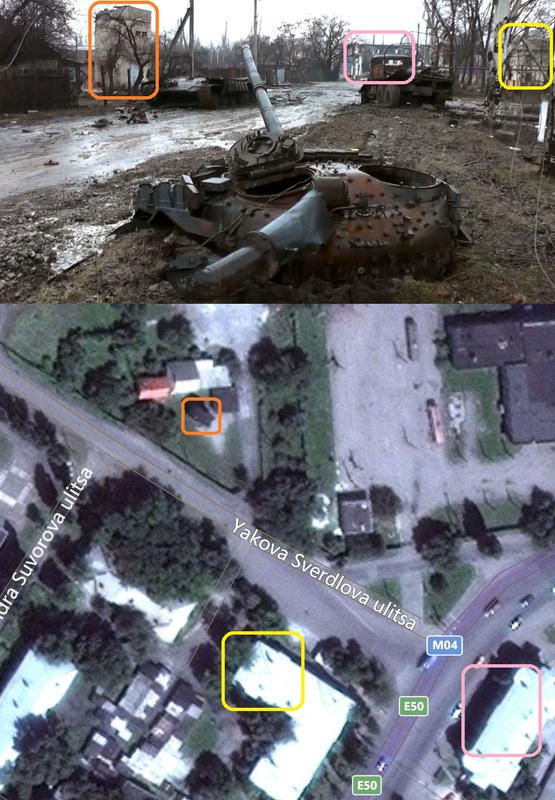 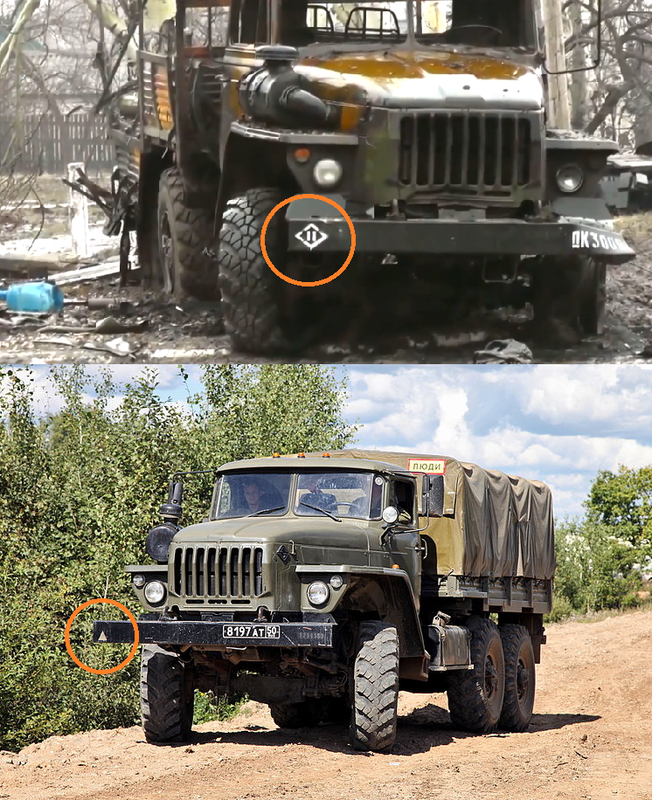 Shortly after more Russian media footage was published, once again proved that regular army main battle tanks (of the type T-64BV) were involved in the storming operation. 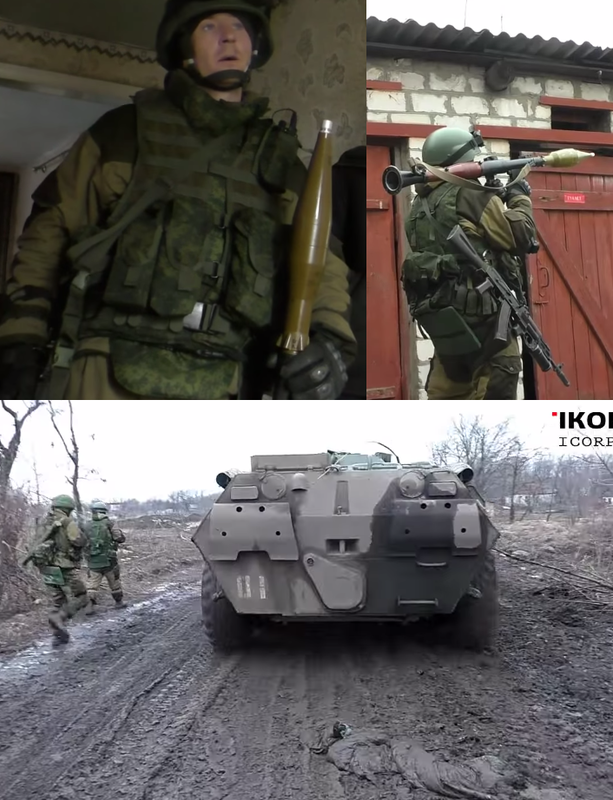 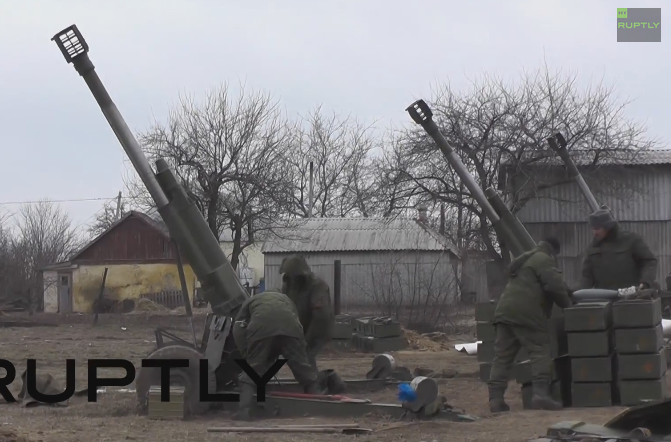 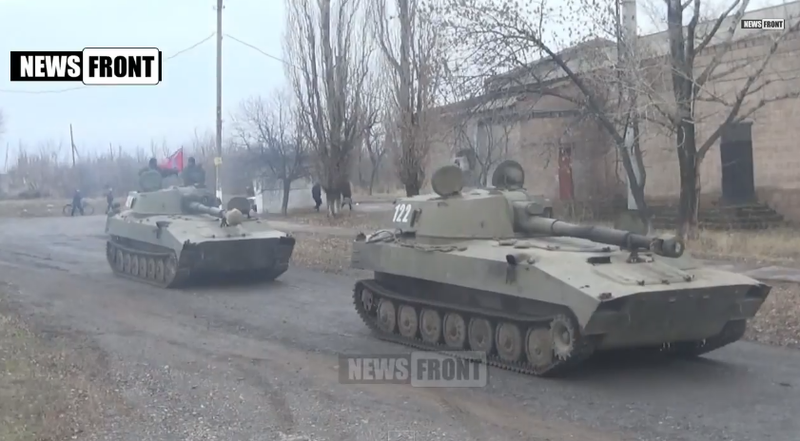 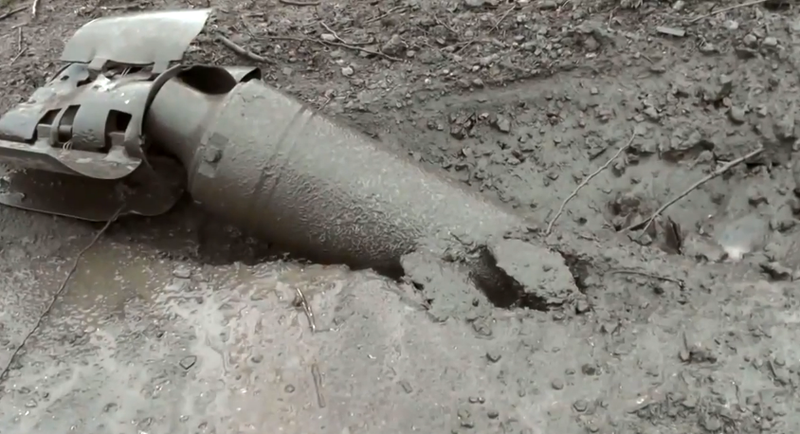 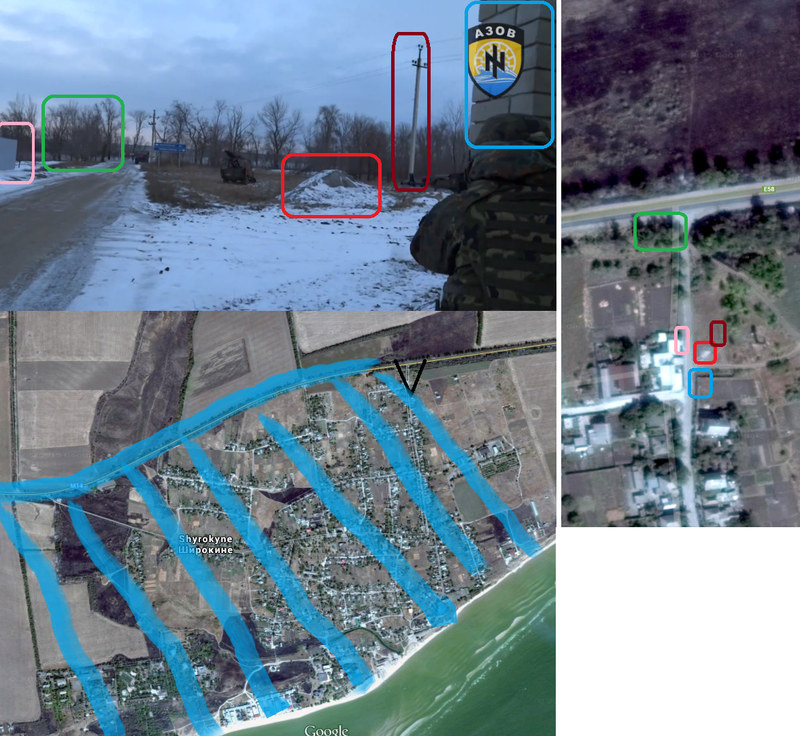 At the same time, more footage showed that the Ukrainian line of defense north of the village consisted of a fortified trenches system, some BMP armored vehicles and anti tank guided missiles weapons. 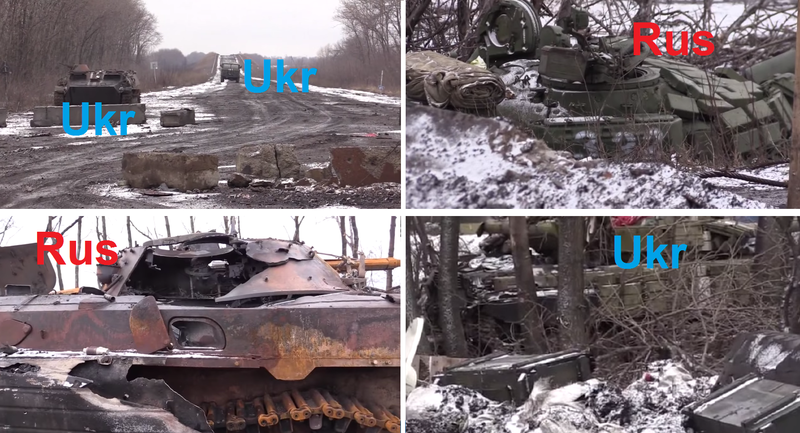 However, different from the (most probable) fall of Vuhlherisk, 2 days ago, today Ukrainian forces were not willing to withdraw until the last moment, leading to the destruction and capture of the majority of the used equipment and several armored vehicles by the Russian side. 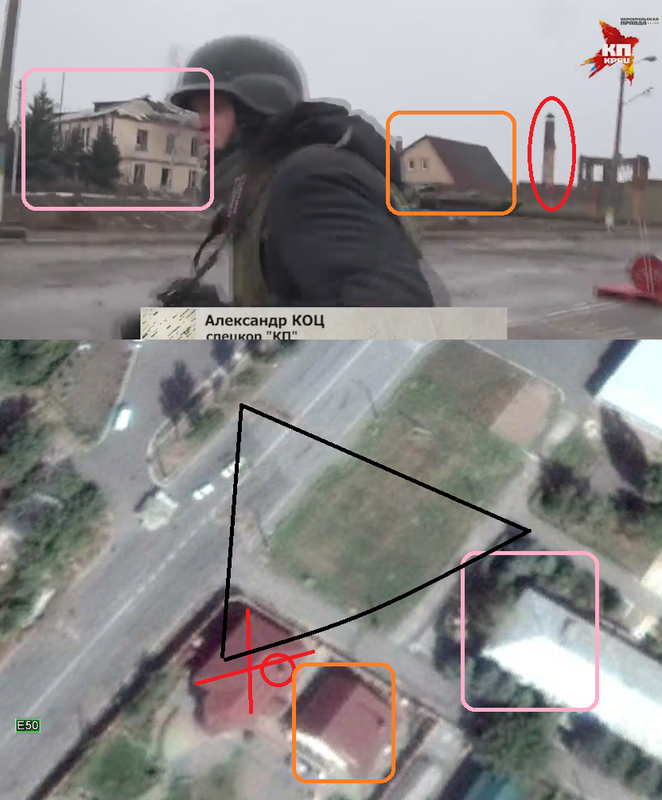 The apparent order to hold the position at any price is another indication of the importance of this outpost 12 km south east of Debaltseve which was at the same time the closest point to the important Russian-occupied cities of Thorez and Shakhtarsk, Ukraine held (until today). 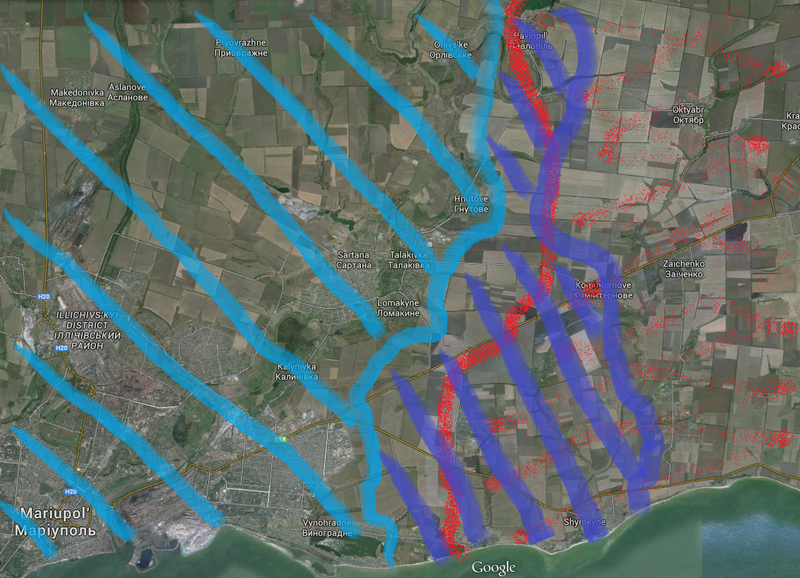 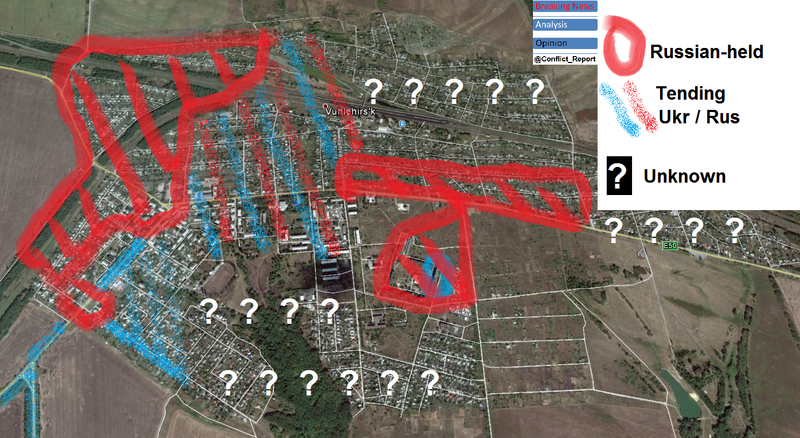 While I cannot emphasize enough that all analysis made here, is based on footage and reports, rather than “hard facts” (which are simply not available at the moment) and that we are still looking at a more or less dynamic situation, I tried to create a (rough) situation map for February 1 2015 for Debaltseve and the surrounding areas, which is shown below. 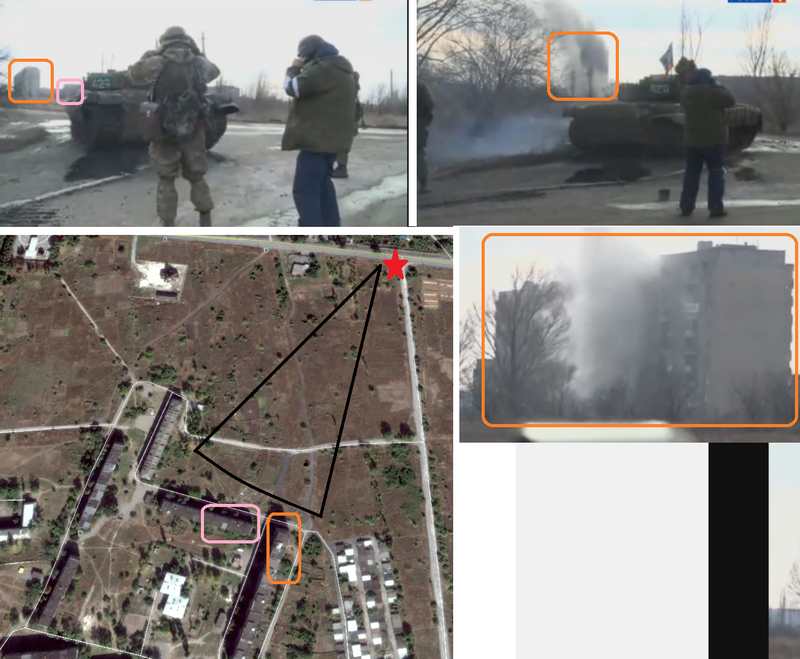 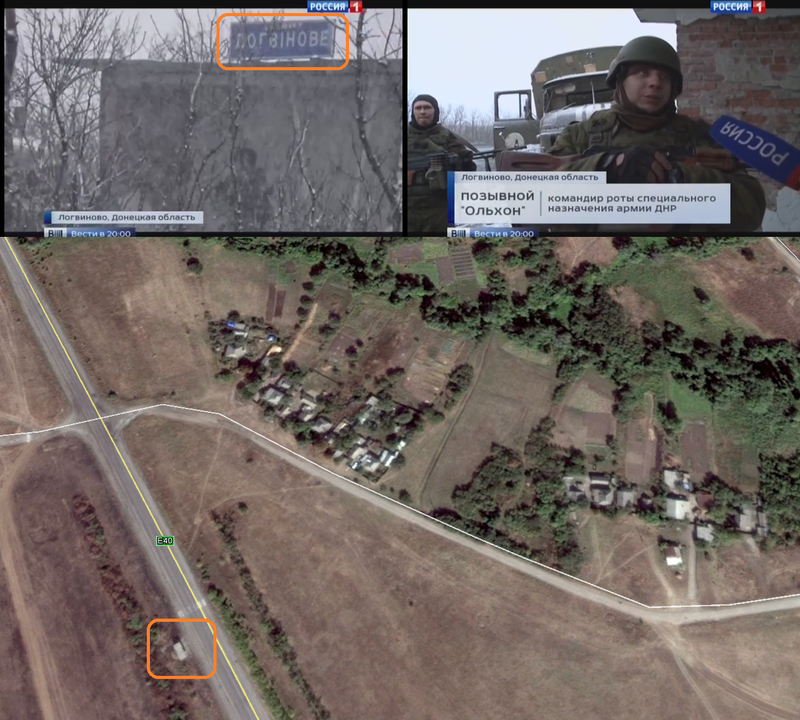 How obscure the situation still is can be illustrated with fresh geolocated footage, showing “an Ukrainian army position at a mine near Vuhlehirsk burning”. 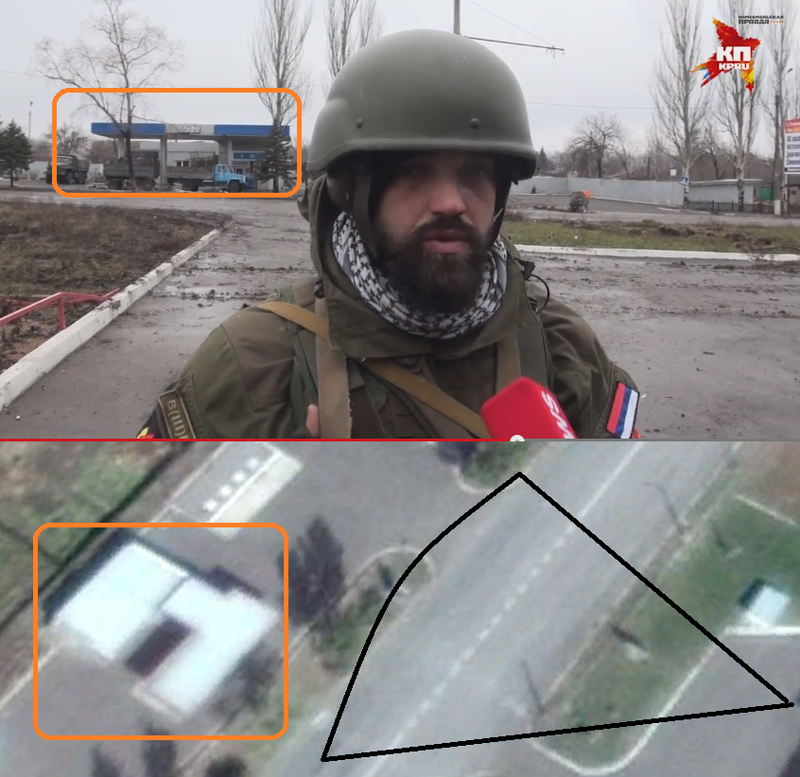 The mine is right in the middle of the territory, claimed to be taken by Russian troops so far, proving there is – for sure! 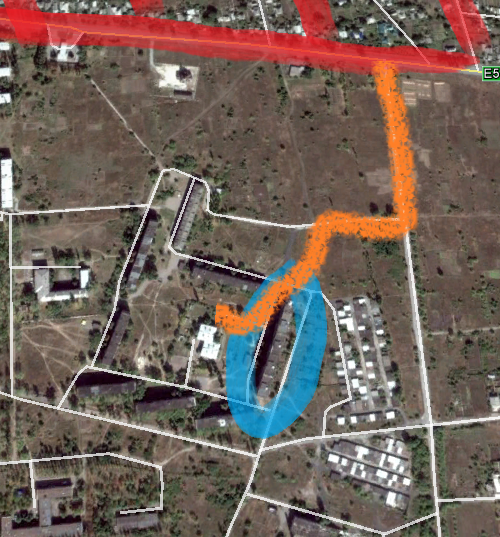 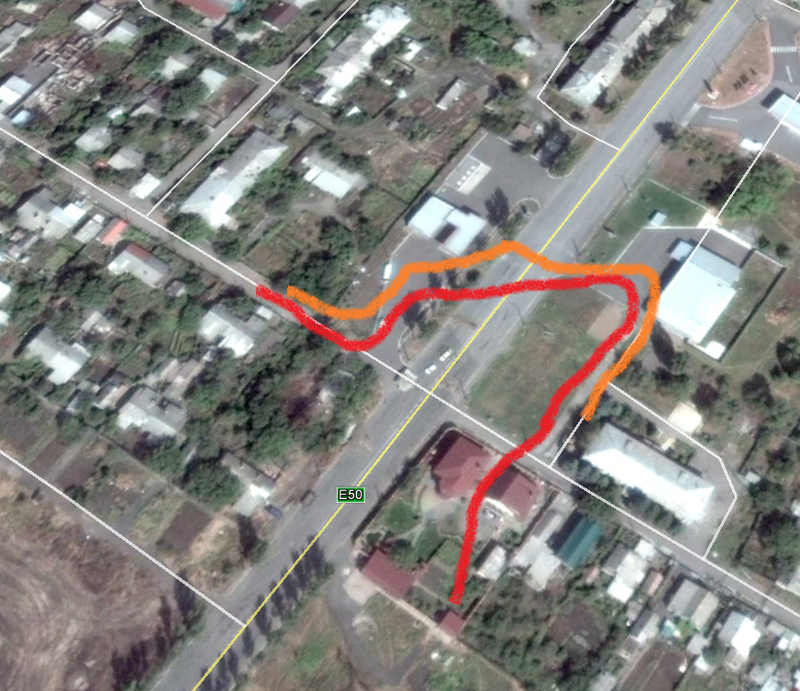 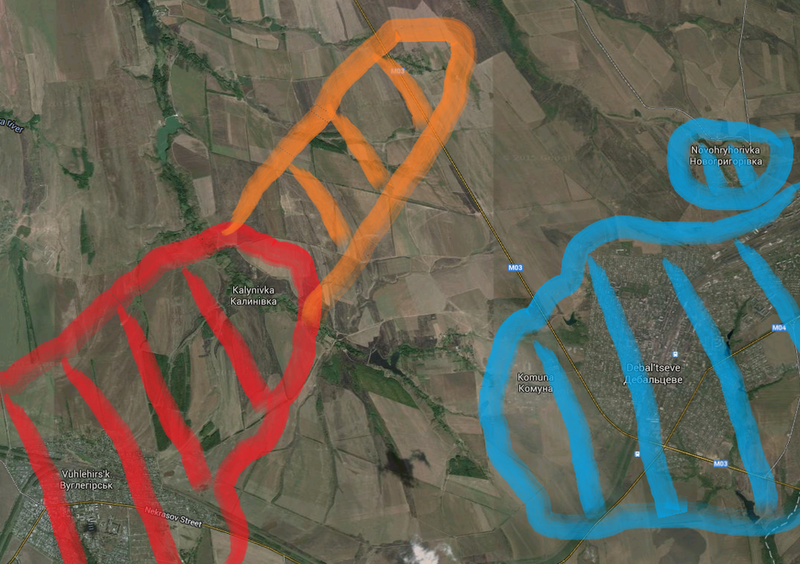 – still a certain degree of inaccuracy within the general view, also affecting my creted maps from intel analysis. 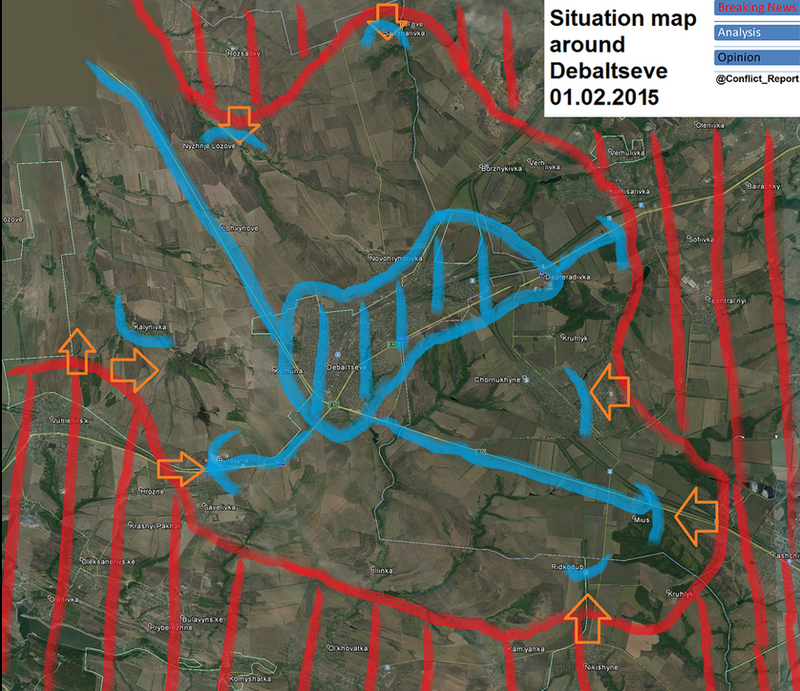 While keeping circumstances and uncertainties like this in mind, the above situation map around Debaltseve can be taken as an approximate starting point to assess the current military situation in the area as of today. 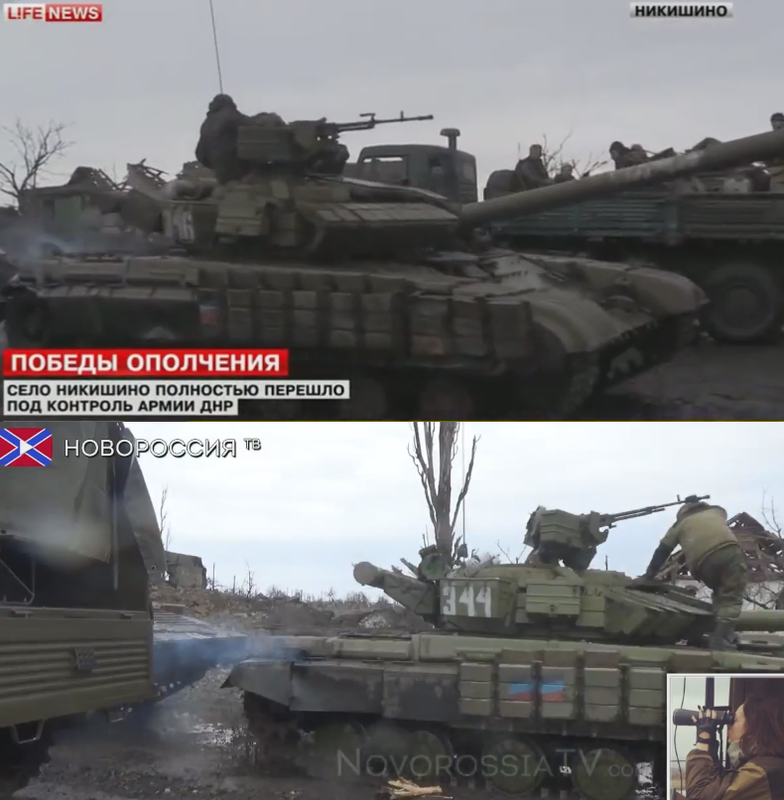 Once again, the main conclusion of such assessment can only be: Considering the current setting in and around the Ukrainian bridgehead while keeping up a purely defensive strategy can and will only lead to total defeat in the area. 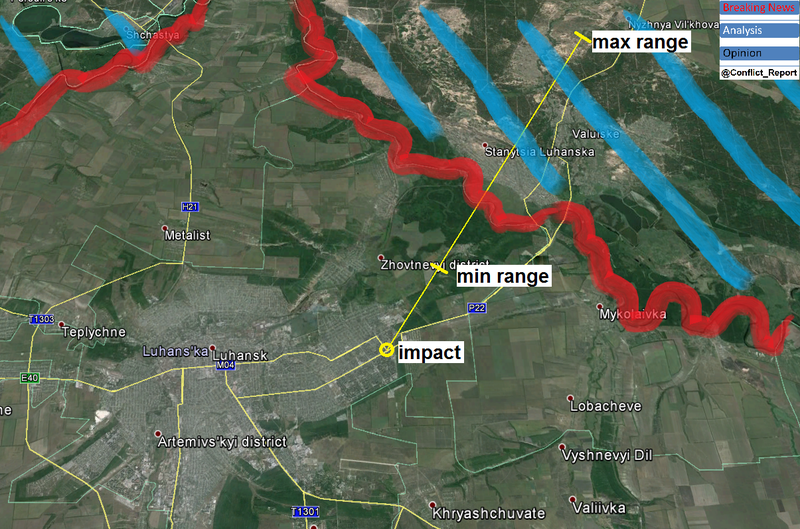 The fall of Nikishyne – a strongly fortified and fiercely defended strategical position in the overall defense of Debaltseve – might only by another piece in a larger puzzle. 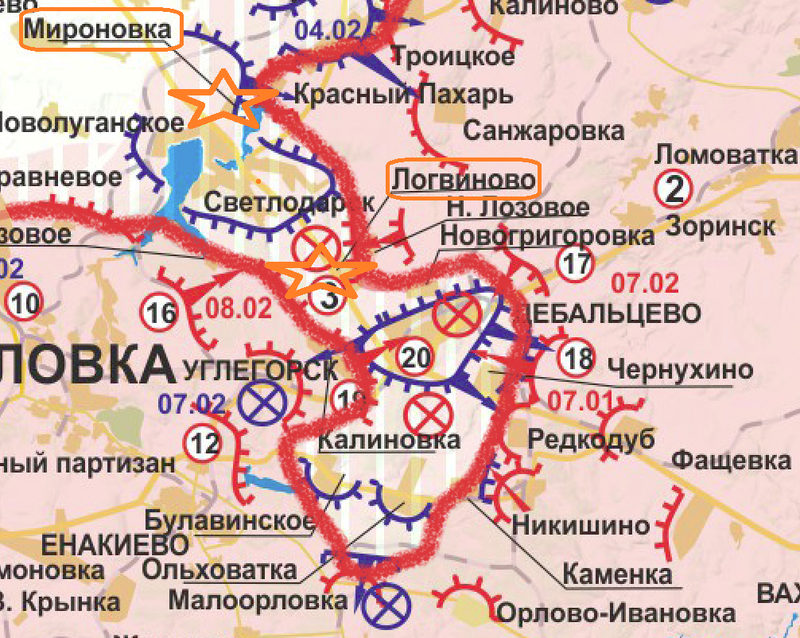 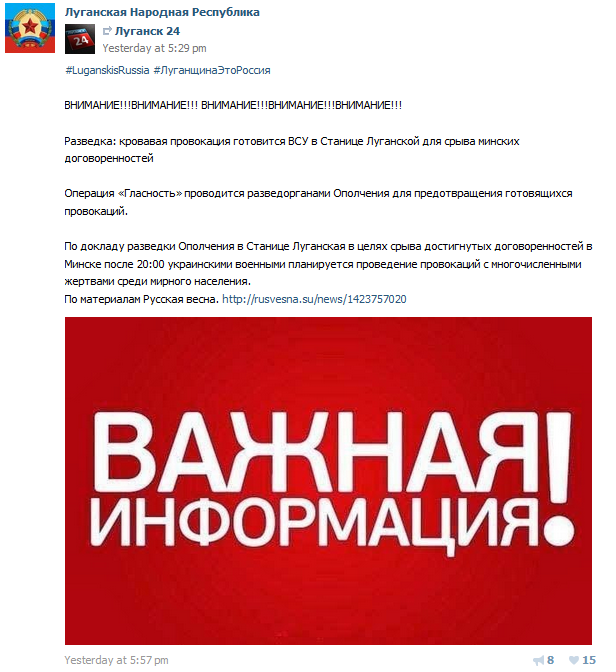 However, it perfectly fits the bigger picture and must be yet another reminder that there are only two possible options to continue: Withdraw and give up the entire bridgehead of Debaltseve … or change tactics and switch to most severe offensive operations between Stakhanov and Horlivka (for now), like Ukraine’s interior minister demanded it today.